It was dangerous being one of the first scientists to go against the traditional view of what was and was not a planet. But, regardless of the danger, 467 years ago, Copernicus stood firm. "The Sun and the Moon are not planets", he declared. Two of the seven known planets gone like that. The other five known planets were doing fine though, it's just that they now orbited the Sun instead of spinning around the fixed Earth. Those five -- Mercury, Venus, Mars, Jupiter, and Saturn - remained. But in perhaps the biggest change to the word "planet" in human history, the Earth under our feet was declared to be on par with those other five. Galileo - defending these ideas with observations of the actual night skies through his newly acquired telescope - was imprisoned by the church. Those seven initial planets - the "wanderers" from which the original Greek word came - are still out there and still part of our every day experience. The names of the seven days of the week come from the original seven planets. Sunday is obvious. Monday pretty easy. Satur[n]day? Check. The others are a bit obscure from old English and Latin, but they're all there. Before artificial lights, I suspect that most people had seen most of the seven planets. These days? Almost no one. From now until the full moon I'm going to try to get you all of them but one (pesky Mars is on the other side of the Sun right now; sorry). First, the easy one. Step outside. Look up. See that big yellow glowing thing in the sky? It's the Sun. Ancient planet number one. You've already done planet number two, too, if you've been following along, as that is the moon. The moon tonight is continuing its journey westward. If you noted where it was right at sunset yesterday you will see that it has moved a substantial amount higher by today's sunset. Moonset is, of course, almost an hour later today than yesterday, and the sliver is growing while the earthshine. Planet three - Mercury - is the hardest one of them all. So hard, in fact, that only a tiny fraction of humanity alive today has ever seen it. Mercury is currently not in the easiest place to see, but we're going to try, for the sake of the planets. First, remember that Mercury is the closest to the sun. It travels in a circle (mostly) around the sun at a distance of about 40 sun diameters. It's hard to really look closely enough at the sun to get a good feel for its diameter except right when it is setting. But when it's setting, measure the sun's diameter (for me it's about the width of a pinky; you could measure the moon instead: they look, coincidentally, about the same size). Now estimate about 40 diameters and draw a mental circle around the Sun. Mercury is in there somewhere. Always. We just need to find it. Now, early Decemeber 2010, Mercury is sticking out to the east of the sun. That is, after the sun sets, Mercury will still be up. But remember, it will never be further than that circle you drew, so, as you can see, it will set very quickly after the sun sets. You need to work fast. Go outside right as the sun has set and look west. Bring binoculars if you have them, but if you don't know need to worry. You will need, however, a very low horizon. Hills, houses, or trees are possibly enough to consign you back to the vast majority of people who have never seen Mercury. (Do you live right on the ocean in California? You're in good shape. But if you live right on the ocean in California you probably don't need me telling you that.) Look low to the southwest. Really low. Like maybe only a few hand widths up from the true horizon. From my house, a low Mercury in the southwest looks much like airplanes taking off and landing from LAX, except that Mercury doesn't move. Airplanes, if they know what's good for them, do. Even for me, knowing what I'm looking for, it's not always obvious. Whenever I think I have Mercury I always have to line it up with a tree or a bush and watch for 20 or 30 seconds and see if really is it. Don't worry about stars or anything else in the sky. If you are looking only a few handwidths up and you do see something and it doesn't move, you have found it. It's too far away and too small to see much of anything, but if you did bring your binoculars out now is a good time to use them (and then don't forget to tour the moon, later). If your weather is bad or your horizon is high, don't fear. You have about a week to keep looking before Mercury's orbit carries it too close to the sun to see. If will emerge in a month of so on the other side of the sun, but, then, you won't be able to see it at sunset. You'll have to wake up before dawn. And no one wants to do that (except for you, dear reader, when you are going to want to do that next week to see Venus and Saturn at the end of our tour; so get your beauty rest now). Mercury is the Rodney Dangerfield of planets; gets no respect! Nobody sees it, so it's like it's not there. Mercury is relatively boring compared to the other worlds that may have some interesting features such as moons, tectonic activity, vulcanism, liquid oceans, lakes, rivers(? ), geysers, hydrological cycles, rings, atmospheres, etc. Mercury looks pretty much like our own Moon, ho-hum. Although there is no proof of extra-terrestrial life, Mercury would be at or near the bottom of the list of most likely of worlds to harbor life. Mercury is smaller than Ganymede and Titan (and Titan has an atmosphere to boot). Additionally, Mercury is only about the size of Callisto; how insulting is that? Remember all of that planetary hype around planet X? Well a lot of people thought that a planet, not only could exist between Mercury and the Sun, but actually did; such a planet was already christened as Vulcan. Perhaps there is a planet between Mercury and the Sun, but that is just going to make matters worse for poor Mercury as people look past the desolate planet, in search of planet X. 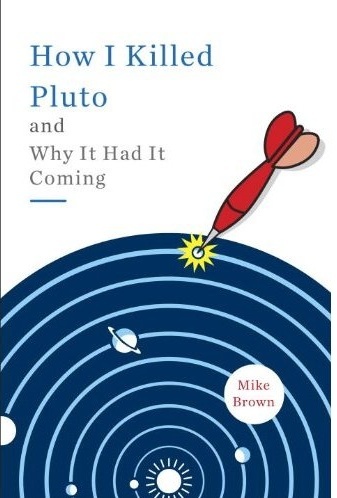 Only Pluto has it worse; well, that is not true exactly, i.e. the Sun, Moon and Ceres were considered planets too. Mercury is small and boring, but not insignificant. I count myself among the few who have seen Mercury. In about '98, I learned that it would be visible one evening, so I took my daughter (about 5 at the time) to a vantage point. Long story short, she spotted it as I was about to give up. The most amazing point (to me) was that Venus, Jupiter and Mars (in that order, I think) were all also visible at the same time. I have seen all of the visible planets except Uranus, although I may have unknowingly. I wonder why "Buffy" (2004 XR190) still didn' get an official name or did I miss something? I saw Mercury! I was shown it by a member of the Confederate Air Force (yes there is such a group, they do WWII re-enactments in air shows). He had a telescope, about 3" maybe. It went past a telephone line, so I saw it move. This was years ago, my present location has too many trees. 2004 XR190 is one of my favorite KBO's. I hope they leave it "Buffy". Rhymes with "puppy". Never saw the show, saw "Xena", though. I saw Mercury just over the mountains not all that long ago. If memory serves, it was in conjunction with Venus and the Moon, and was quite a show. I wasn't even expecting it. I just saw this rusty reddish-brown dot and thought "that's GOT to be Mercury!" Over the next couple of nights I tried to get a better look at Mercury from my bedroom window with my 12x binoculars, but no go. My hands just aren't steady enough. Actually, I've been privileged to spot Mercury a few times over the years in both the morning and evening skies. Here in Pretoria it has been cloudy for days. Yesterday evening the weather cleared, except of course in the west. It made for a nice sunset, but no sign of the winged messenger of the gods. Not that I'm a Mercury virgin, mind you: I have seen the planet in the past and will hopefully get to see it again some time. Nice article and offering niche space news. I like your site and I will bookmark it. "in an attempt to distinguish discuss possible formation scenarios". Either "distinguish" or "discuss" needs to be removed. George Smith, I would challenge your assertion that Mercury is boring. It may resembles our moon superficially, but in many ways it does not. Mercury is a very geologically complex world. It also has vulcanic culdera, a magnetic field, and an exosphere. If you have not been following the MESSENGER Mission to Mercury over the past 4+ years (http://messenger.jhuapl.edu/), I urge you to check out what has been seen/discovered there from the three flybys, and what is hoped to be found when the spacecraft goes into orbit around Mercury in March. I read your book and heard you speak in NYC. Could you comment on the press release below? I couldnt find your email so I am posting a comment hoping it reaches you. 1,000 new planets? that raises hopes of finding one that could support life. NASA released new data Wednesday from its Kepler telescope on more than 1,000 possible new planets outside our solar system -- more than doubling the previous count. Some astronomers estimate that 90 percent of what Kepler has found will eventually be verified. planets smaller than Jupiter than there are giant planets. Jupiter is the biggest planet in our solar system. Some of these planets even approach Earth's size, though they aren't that small. I can only recall seeing Mercury once, but what a viewing I had. I was camping in outback Australia near Uluru (also known as Ayer's Rock) and we had risen before dawn to see the sunrise and the effect of the risen sun shining on the Rock. The landscape there is totally flat with nothing but small bushes and to block the horizon. To my delight, in addition to the spectacle of the rising sun lighting up the monolith in the west, in the east Venus and Mercury were clearly visible. Venus was the bright jewel that it always is and Mercury was closer to the sun and less bright but quite distinct. That was nearly 25 years ago but the memory stays with me still as vivid as always. Any chance for "quasi-weekly" to return? We miss you!